We have our first official and complete look at Electro in THE AMAZING SPIDER-MAN 2! It is shocking! We have our first official and complete look at Electro in THE AMAZING SPIDER-MAN 2 and it is shocking!!! 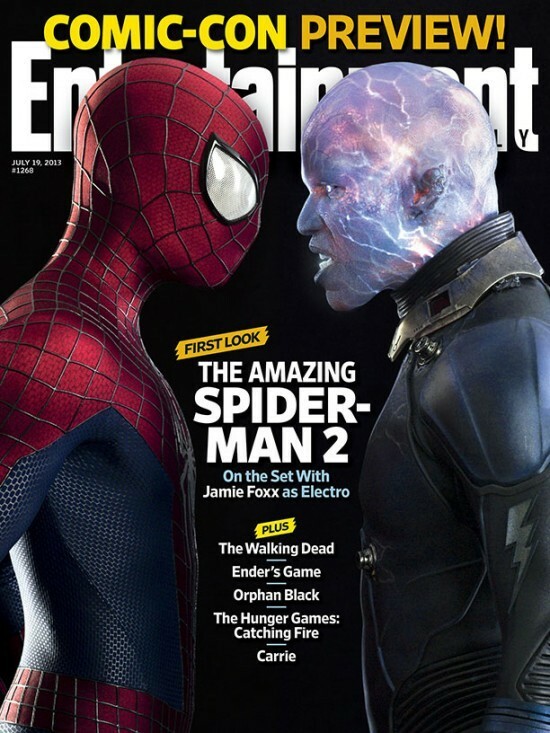 I didn't realize people still read EW but our previous looks had been set photos, but thanks to them, this is our first look at Electro with all of the visual effects and makeup in place. It looks okay, the look certainly fits in with this universe and it is hard to even see Jamie Foxx there but I was hoping for something a little crazier looking. Though I do believe Electro will make for a much more interesting villain than The Lizard was in the first one and this confirms that he definitely has a better look. Now let us see Paul Giamatti’s Rhino!